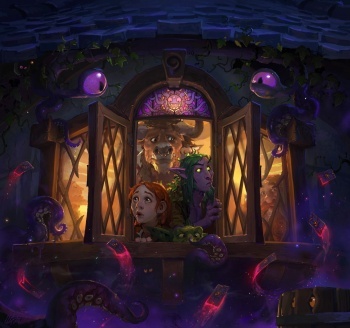 Hearthstone game director Ben Brode says that developers would like to be more public-facing, but have concerns about harassment. If you're wondering why Hearthstone's designer insights videos seem to focus quite a bit on game director Ben Brode and senior producer Yong Woo, fear of online harassment is one of the key reasons. "I love doing videos, and I think I can convince more of the team to get involved, so it's not just me," Brode wrote on Reddit. However, he added that "Not everyone is as excited about being a public face as [senior producer] Yong [Woo] and I are, though-there is a lot of harassment that comes with being more public." Online harassment is really no joke these days - especially when you work with a game as huge as Hearthstone. Blizzard has even dealt with this issue in a big way in the past - when the company tried to force RealID on its players, a community manager offered up his full name as proof that it wasn't "such a big deal." People were quickly able to discern his address and other personal information from the name, and launched a huge harassment campaign. I do wish the Hearthstone devs would be a bit more open with the community, though, especially when you look at how open the teams behind other Blizzard titles World of Warcraft and Heroes of The Storm are.